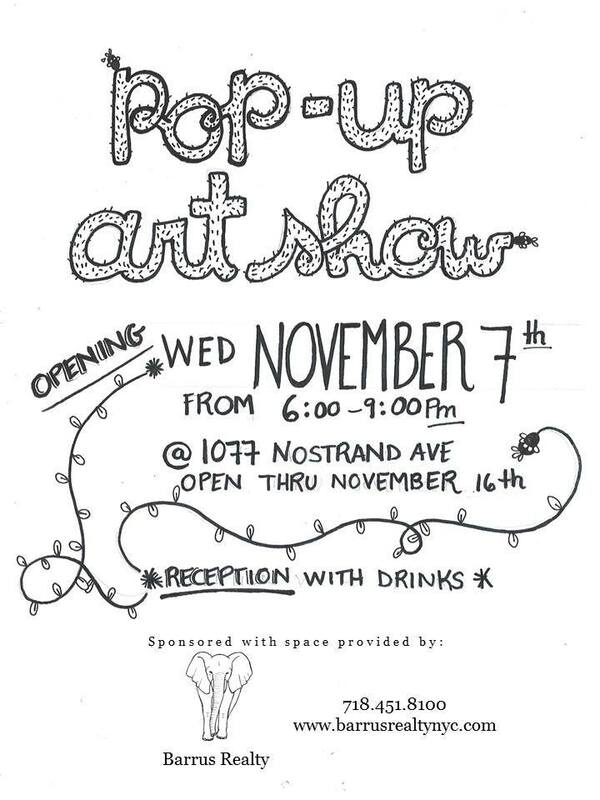 Join me for this Pop-up Artshow on Nov 7th! I will be exhibiting several photographs, along with 11 other artists. This entry was posted in Uncategorized on November 6, 2018 by noel.hefele@gmail.com. Please come to the opening! I have two photos in the exhibition. The tenth edition of our tribute and thank you to the Dorsey family of fine artists who have chosen to donate their art to benefit children of NYC. Hosted by LPD Brooklyn Arts Foundation. This entry was posted in Uncategorized on May 28, 2018 by noel.hefele@gmail.com. Please visit my photo now hanging at Streetsweeper Cafe in Prospect Lefferts Gardens. I will be rotating work there as part of an ongoing local artist community show. July 23, 2016 – October 2016. This entry was posted in Uncategorized on July 23, 2016 by noel.hefele@gmail.com. Please visit my photo exhibition at Ryujin Ramen in Williamsburg. This entry was posted in Uncategorized on April 24, 2016 by noel.hefele@gmail.com. Please come to the opening reception for this new group show I am participating in! A recent Yale-led study put the approximate number of trees on earth at 3.04 trillion, over 7 times the previous global estimate of 400 billion. Instead of 61 trees for every human on planet earth, the new estimate is 422 trees. While good news, this study also claims a 46% decline in tree population since human civilization began. Roughly 7-8 trees provide the oxygen one person requires for a year of breathing. US urban forests sequester over 700 million tons of carbon. Worldwide, the equivalent of almost 270,000 trees is either flushed or dumped in landfills every day (roughly 10 percent of that total is attributable to toilet paper). Prospect Park lost over 500 trees during Hurricane Sandy. Worldwide, our net loss is about 10 billion trees a year. How do you value a tree? You only have 422 trees, knowing that, does it change how you look at an individual tree? 422 sounds like a lot, but is it? 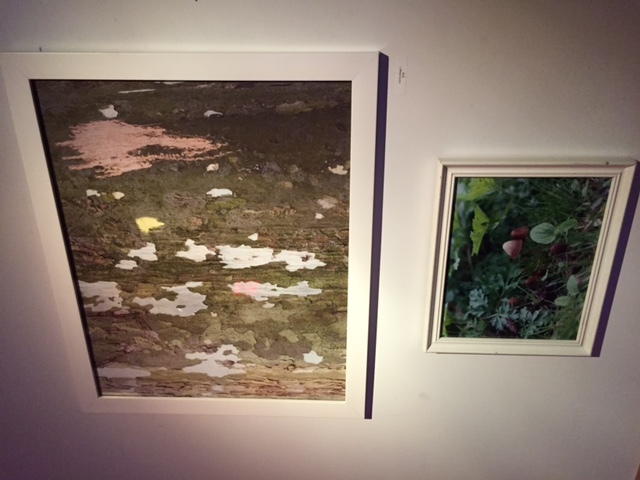 We are exhibiting three contrasting interpretations to landscape and the trees that live in them. Art can provide empathic aesthetic and emotional connections to these living beings, highlighting small moments of awareness and appreciation. Our trees can fade into the background of everyday life, but they are ever-present and necessary collaborators on a finite planet. This entry was posted in Uncategorized on September 21, 2015 by noel.hefele@gmail.com. 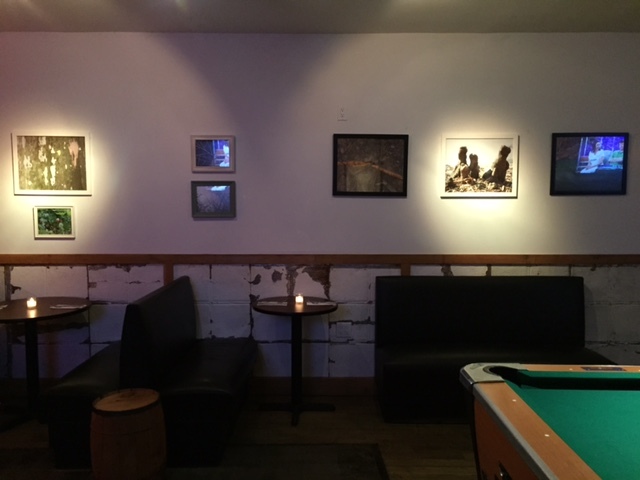 My work is hanging at a great new restaurant in Prospect Lefferts Gardens, Brooklyn. Bluebird Food and Spirits is located at 504 Flatbush ave, Brooklyn 11225. Come check it out and let me know what you think! This entry was posted in Uncategorized on February 22, 2015 by noel.hefele@gmail.com. Please join us for the opening party of Yoshiko Mori’s new photography show. On facebook? RSVP for the event below. This entry was posted in Uncategorized on April 26, 2014 by noel.hefele@gmail.com.